Good to see Volvo isn't skimping on safety features for its first compact crossover. Volvo has a solid reputation for safety, and that trend is set to continue with the Swedish automaker’s first premium compact SUV, the XC40, following the recent reveal of its bigger brother, the XC60. Volvo has yet to reveal what the XC40 looks like, but assures us that its new compact SUV will set new standards for safety in the CUV segment. 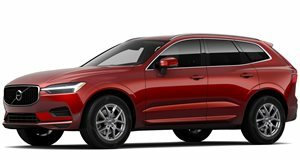 Despite being built on the automaker’s new Compact Modular Architecture, Volvo has managed to cram all the sophisticated safety tech from the XC90 and XC60 into the smaller XC40. Then again, did you really expect Volvo to skimp on safety features? Designed for city driving, the XC40 will be loaded with advanced driver assists including Volvo’s semi-autonomous Pilot Assist system, the latest generation of City Safety, Run-off Road protection and mitigation, Cross Traffic alert with automatic braking, and a 360-degree camera to help with parking. Modern city life presents complex challenges for drivers, pedestrians, cyclists and other road users,” said Malin Ekholm, Vice President Volvo Cars Safety Centre. “With the XC40, we aim to reduce the so-called cognitive load on the driver." While our safety and driver-assistance systems actively identify and mitigate potential conflicts, you as a driver can relax more and therefore enjoy city driving." Like its larger siblings, the new XC40 will benefit from Volvo’s Sensus infotainment system, featuring a large large portrait touchscreen giving drivers access to a host of functions and services. A comprehensive range of customization options will also be available for the exterior and interior. Volvo still hasn’t announced when its Mercedes GLA rival will be revealed, but did disclose that it will be available this fall. One thing that is certain, however, is that it won’t be revealed at the Frankfurt Auto Show as it’s already been confirmed that Volvo won’t be attending the show.